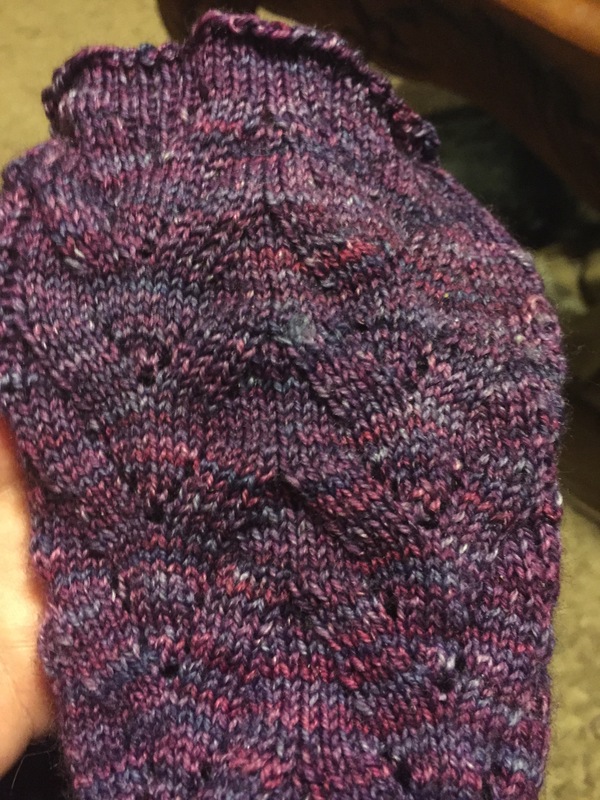 “Knitters whose calves or ankles don’t fit into a standard sock size may have previously forgone the joys of sock knitting. 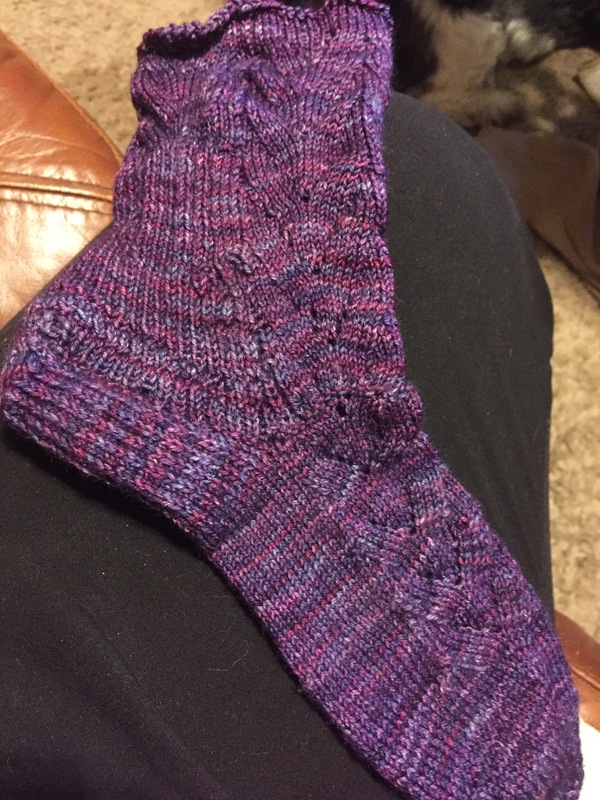 With calves and ankles that can stretch to almost 150% of the resting circumferences, these socks give knitters with curvier legs a pattern that fits and looks great. A stacked flower pattern flows elegantly into the stretchy ribbed cuff. Finished Size: 8 (8½, 9)” (20.5 [21.5, 23] cm) foot circumference, 9½ (10, 10½)” (24 [25.5, 26.5] cm) calf circumference and 9″ (23 cm) height from bottom of heel to top of cuff, and 9″ (23 cm) long from tip of toe (foot length is adjustable). 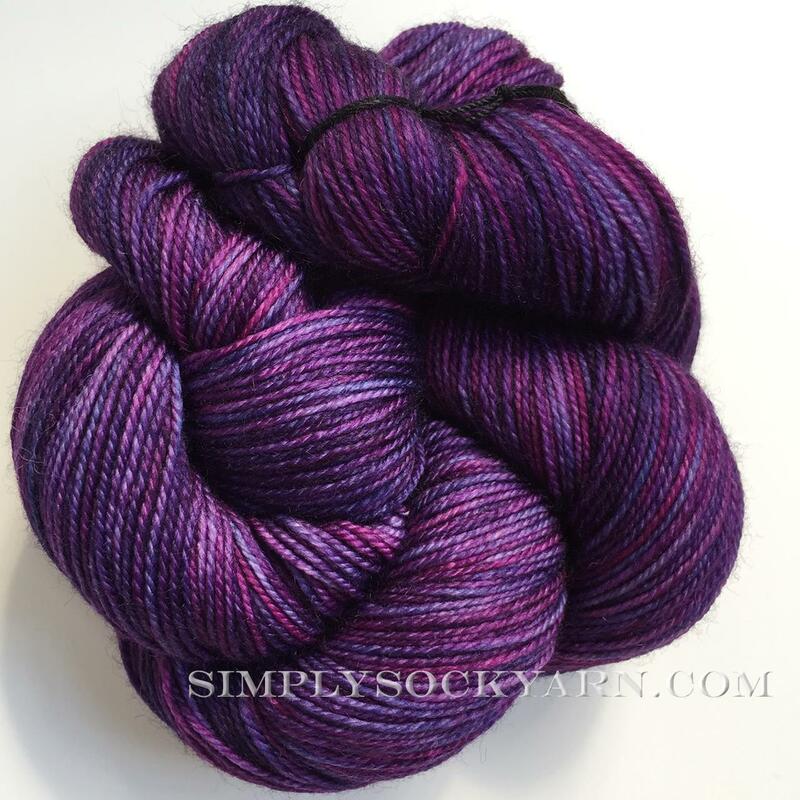 Now on to another subject entirely… What do you listen to when you knit? Are you a TV listener or an audiobook listener? 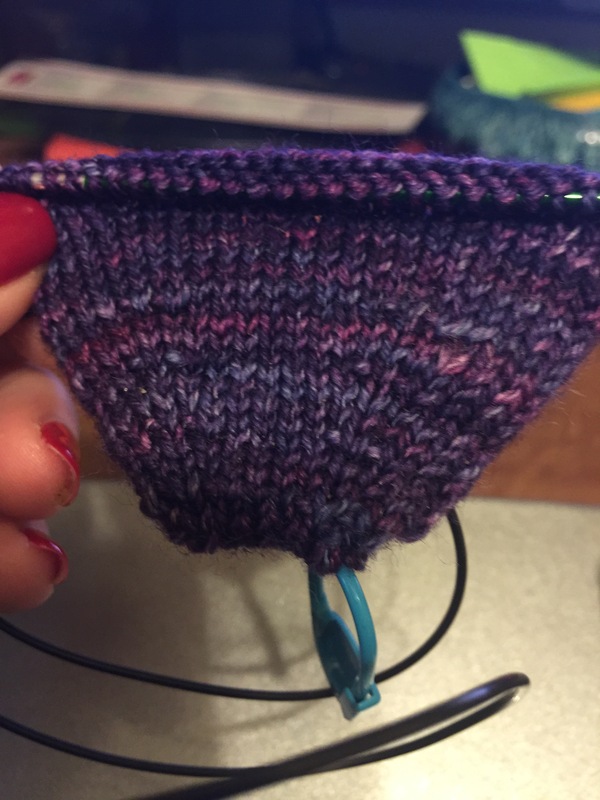 I listen to TV in the background when I am knitting whether I need to concentrate on the pattern or whether or not I am just mindlessly knitting a stockinette or garter stitch pattern. I listen to audiobooks occasionally, especially if my favorite authors have a new book out.. Kristin Hannah has a new book out called The Nightingale, which is really good. It is historical fiction, and I am listening to it on audiobook now, and so far it is very good. I am about 2/3 of the way through it. I just purchased 2 more books by my favorite authors, Lisa Scottoline and Nora Roberts. I hope those books are as good as Kristin Hannah’s has been. Lisa Scottoline’s book is a psychological thriller about OCD and being a sociopath.. **Evil grin** and Nora Roberts book is called “The Liar” and it is about finding out that your spouse isn’t who he said he was all of these years and when he dies you find out all of the lies that he has told you for the whole time you were married. These are the books that are interesting me at the moment. What books do you like to listen to? What TV shows do you like to repeatedly watch when you are knitting? Do you watch a show that you have seen 100 times so that you don’t have to have your eyes on the screen or do you watch a new show that you haven’t seen before?